Best known for the thrillers Les Diaboliques (The Devils) and La Salaire de la Peur (The Wages of Fear), director Henri-Georges Clouzot is best described as the French Hitchcock. In fact, a certain key scene in Les Diaboliques was so frightening that it reportedly prompted Hitchcock to up the ante in that Psycho’s famous shower scene. Clouzot certainly never went by halves in his films, ramping up tension and paranoia until characters either broke or the audience did, as proven by the disturbing Le Corbeau (The Raven). Le Corbeau opens on small French town Saint-Robin, where anonymous poison-pen letters signed only Le Corbeau have been plaguing the inhabitants. The main target seems to be the town’s doctor Remy Germain (Pierre Fresnay), accused of a multitude of sins including having an affair with his colleague’s wife Laura (Micheline Francey) and providing illegal abortions for women in trouble. But soon other members of the community begin receiving letters informing them of infidelity, usury, and even illness. The catch is that the cruelly worded accusations seem to be true. As the letters pile up, the people begin to turn against each other, revealing the petty cruelties, prejudices, and paranoia underlying the idyllic little town. Le Corbeau is not a pleasant film; it’s a film about unpleasantness, about meanness and cruelty and, more than that, about the willingness to believe the worst of your neighbors. While The Raven is a vilified figure, the gossip he or she spreads is believed without question, causing the destruction of homes, careers, and lives. The townspeople are divided in their suspicions of each other – not only could anyone be the Raven, anyone could also be targeted by the Raven, prompting a bizarre playing off of people against each other as they learn the worst about their neighbors. As the film proceeds to its inevitable climax, the viewer is treated to seeing characters at their vindictive worst. 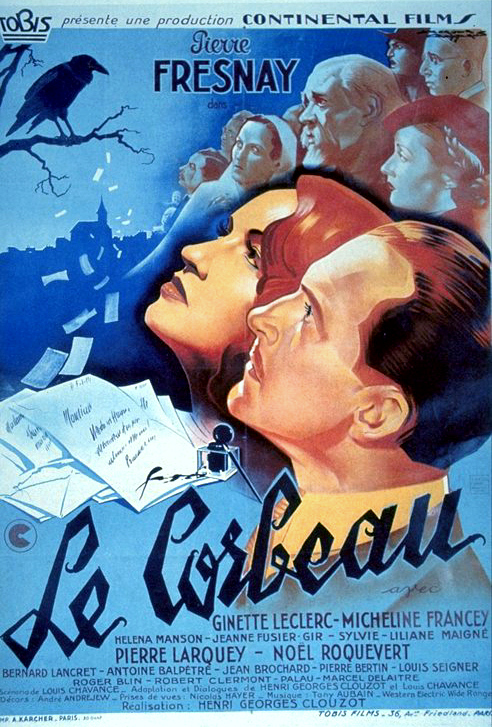 Le Corbeau created something of a stir in France, both during and after its premiere. The film appeared in 1943 and was produced by Continental Films, a German production company set up in France just prior to Occupation. While the Germans viewed Le Corbeau as anti-Nazi, the French would later accuse Clouzot of vilifying the French people. This background throws the argument of Le Corbeau into interesting relief: the film does indeed represent the villagers as petty and malicious people, more concerned for propriety and disguising their own amorality than in punishing the guilty and exalting the innocent. Germain, one of the few decent people in Saint-Robin, is repeatedly attacked both by the Raven and the townspeople until forced into revealing his entire past; innocent people die or are injured because they’re suspected of being the letter writer. The film paints a very dark picture of France in the 1940s. It’s made even darker if read as a veiled allegory for the Nazi occupation, the turning of the French people against each other as neighbors become informers. If Le Corbeau has any flaw it is in the denouement, when the discovery of the letter writer plays as secondary to Germain’s crisis of faith and eventual rejection of the town as a whole. The ending feels strangely rushed, as though Clouzot had run out of ideas and was simply trying to give the narrative some kind of closure. But the point of the film is not about closure – it’s about suspicion, about paranoia. The Raven is vindictive, but so is the entire town. As the film ends with the image of a figure in widow weeds walking down the empty street, one feels as though nothing has actually been resolved. Whatever Clouzot actually intended in his film – and whether he intended any parallels to be drawn at all – it is a deeply critical film at a time when France was in no mood to be criticized. There are two actors who represent the epitome of “Gallic cool” in the 1960s: one is Jean-Paul Belmondo, and the other Alain Delon. Belmondo was the French Bogart: a true tough guy (or at least one who thought he was tough), cigarette poised in the corner of his mouth, rumpled and just slightly the worse for wear. Delon was the Alan Ladd of the French New Wave: cold, calculating, beautiful, and psychotic. 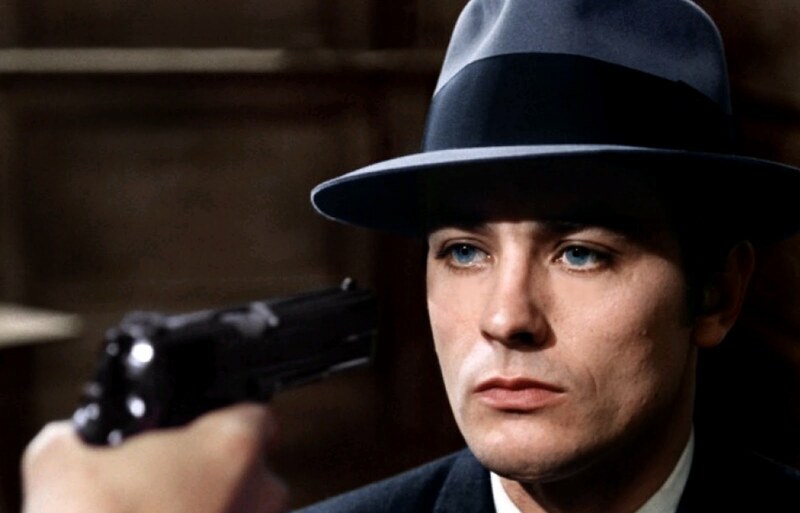 Jean-Pierre Melville’s Le Samourai has Delon at his ice-cold best. He’s Jef Costello, a hitman who dresses (and kills) as befits a Japanese warrior. Hired by an unknown organization to kill the owner of a Parisian nightclub, the film follows Jef as he prepares for and completes his assignment. A chance encounter with pianist Valerie (Cathy Rosier) following the murder places Jef in danger, and the police are soon on his trail. Determined to prove Jef guilty, the investigating officer (Francois Pelier) goes to all lengths, threatening witnesses, trailing suspects, and bugging Jef’s flat. 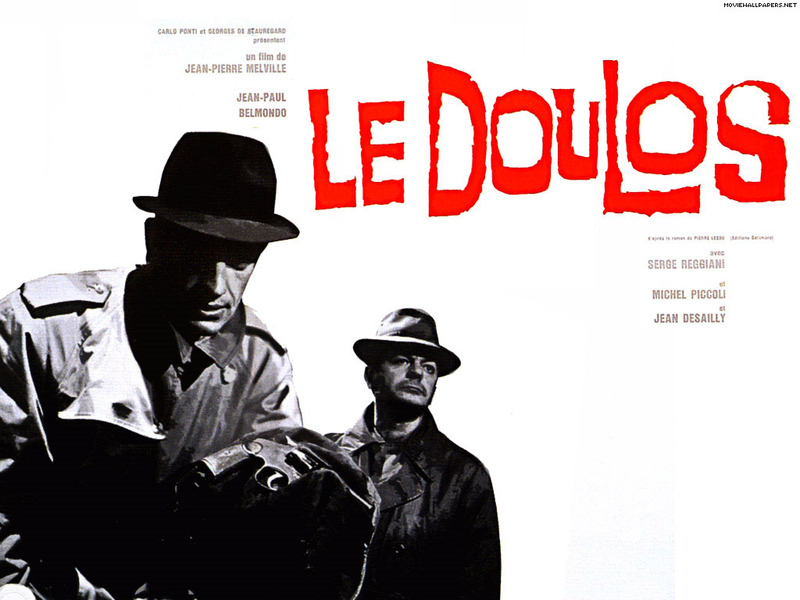 Le Samourai is part crime thriller, part police procedural, and occupies that curious position of 1960s films with few, if any, sympathetic characters. Jef is a detached, unsmiling figure, his methodical killing abilities hinting at that edge of sociopathy that Delon played with great aplomb in Purple Noon. Yet the world that surrounds him permits no attachment, even if he was capable of one: his girlfriend Jane (Nathalie Delon) is a “kept woman” who gives him his alibi and with whom he never even manages to take off his coat. Each character fits their surroundings like pieces of furniture: Jef in his spartan apartment, Jane in her more opulent flat, Valerie in her black and white art deco apartment and night club. The key here is style: Jef’s clothing and physicality are precise and a perfect match to the surroundings in which we first encounter him. His apartment is spartan to an almost absurd degree, the only point of color or activity occupied by the small bird in a cage that provides Jef with his most poignant relationship. As he rises and dresses to go out, fixing his hat and coat in the mirror as though fitting himself for battle, the film has established its argument without a line of dialogue. This is about style and style is about fate: each character moves along their established lines and either cannot or will not deviate from the future set out for them. 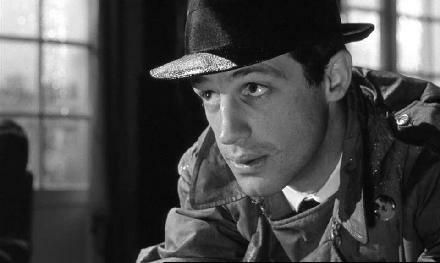 Le Samourai might almost be termed a nihilistic film; it’s certainly a cold one. Human connection does not exist, nor is the viewer asked to sympathize with Jef beyond the fact that he is our central character. No one else is even likable, least of all the investigating officer who pursues Jef with a mania bordering on obsession. This could be read as an indictment of France’s surveillance society, if the film made any move to establish a political argument. But that is not Melville’s project; the bugging of Jef’s apartment and relentless pursuit by the police is simply another form of fate. 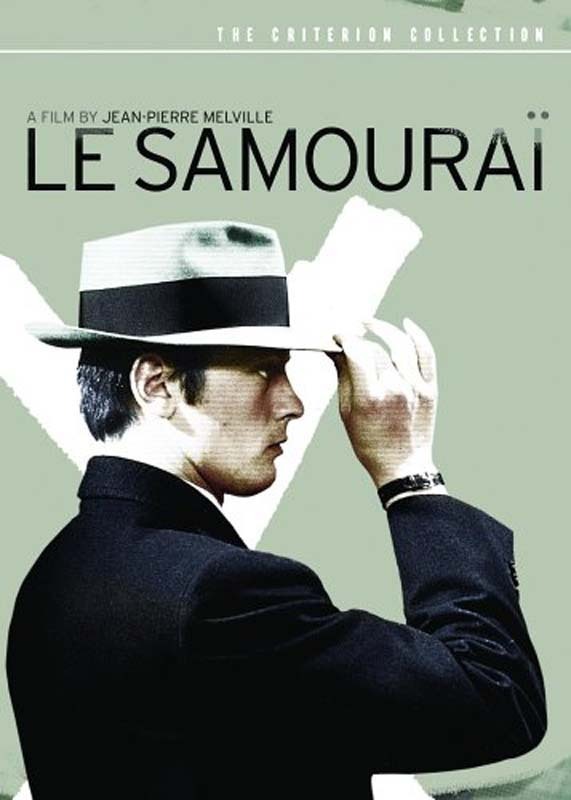 Le Samourai is not a lovable film, but it is a great one. It offers no explanation for its events and barely any character motivation, yet it is not therefore inexplicable or dull. Delon conjures a fascinating character without making him sympathetic. As the film proceeds to its inevitable conclusion, the viewer is drawn into rooting for Jef without being allied to him. We know how this is going to end, though, because there is no other ending.